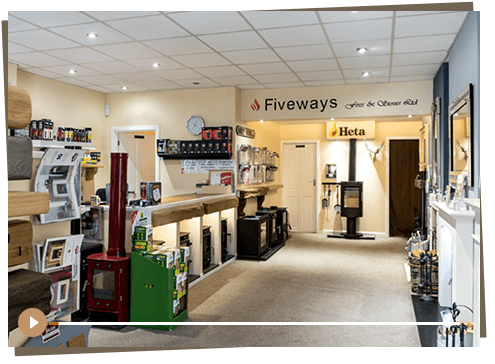 Welcome to Fiveways Fires & Stoves! 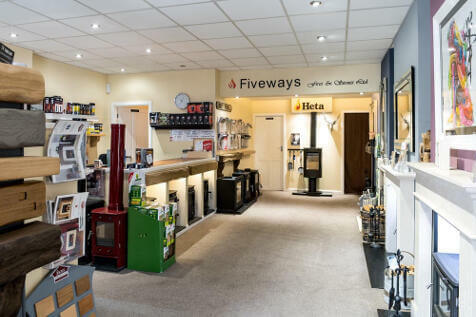 We are a family-run business offering you a wide variety of fireplaces to choose from at our fireplace shop in Eltham, London. 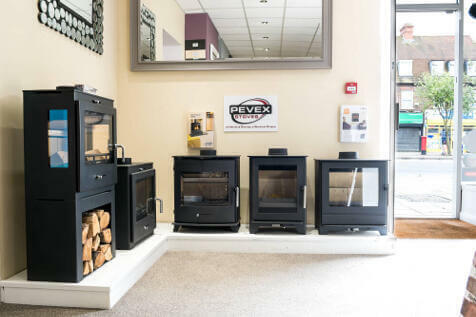 Choose from one of our wood burning stoves or our hole-in-the-wall gas or electric fires to keep you warm all winter and to give your room, large or small, a beautiful new focal point. We really are unique! We are Gas Safe Registered and HETAS approved, so not only do we have quite the selection in our London showroom, we also complete the installation ourselves rather than pass your work to unengaged subcontractors. 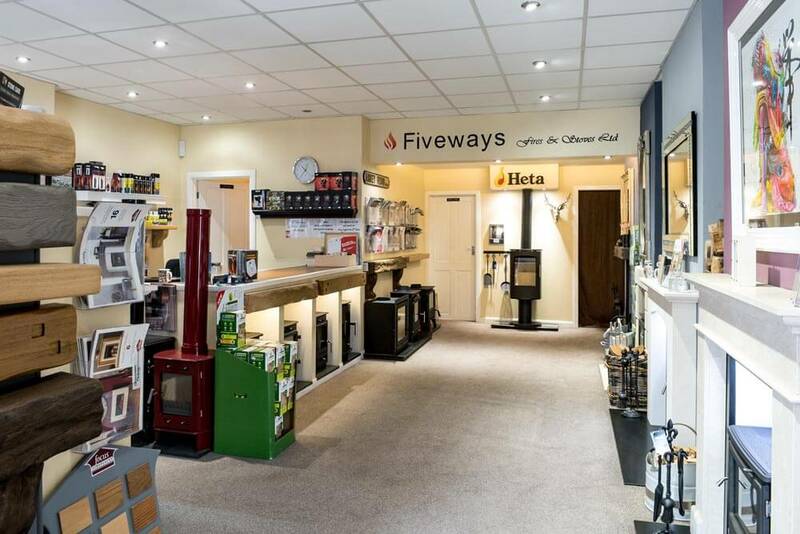 Our standards are high and our experience is vast, so you will benefit not just from our knowledge when it comes to choosing the right fire for your needs, but the person who helped you choose your fire will actually install it for you too! or request your survey here. 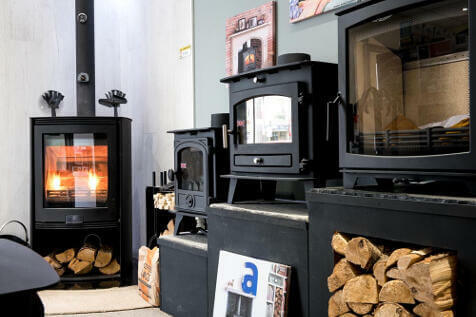 New wood burning stove? Maybe just an accessory? Whether you’re looking for a new fireplace, surround or an accessory for your existing one, we’re sure we have everything you could possibly need. Inject a bit of new character into your living spaces with one of our range of contemporary and traditional fireplace designs – have a quick look at the options above and click through for full details. What’s the main reason for you wanting to buy a fireplace/ fire? 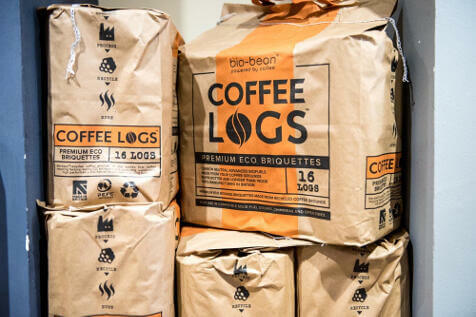 Great, then wood burners or high efficiency gas fires are the best options for you to explore. 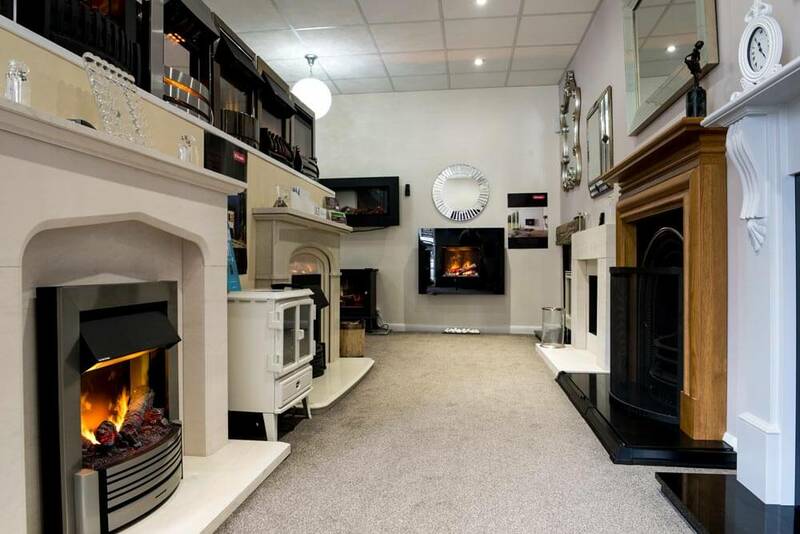 Our full service starts from the moment you walk into our fireplace showroom. We will chat with you to find out what you are looking for and what you want from your new fireplace before working with you to select the right one. After that, you can leave it all to us. 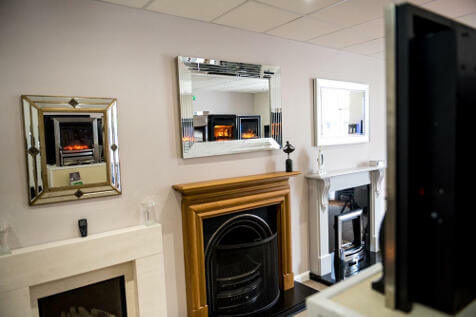 We will take care of the installation and work that goes into getting your new fireplace and its surrounds installed, the hearth and lintel set up and ready to go, and we will even manage your annual servicing as well. Help you choose the right fireplace for your needs. Want high-efficiency heat for a large room? Or a more localised fireplace for a smaller space? Perhaps a decorative fireplace to add style as well as warmth to your home? We can help with all of that, and more. Client satisfaction is our principal goal. 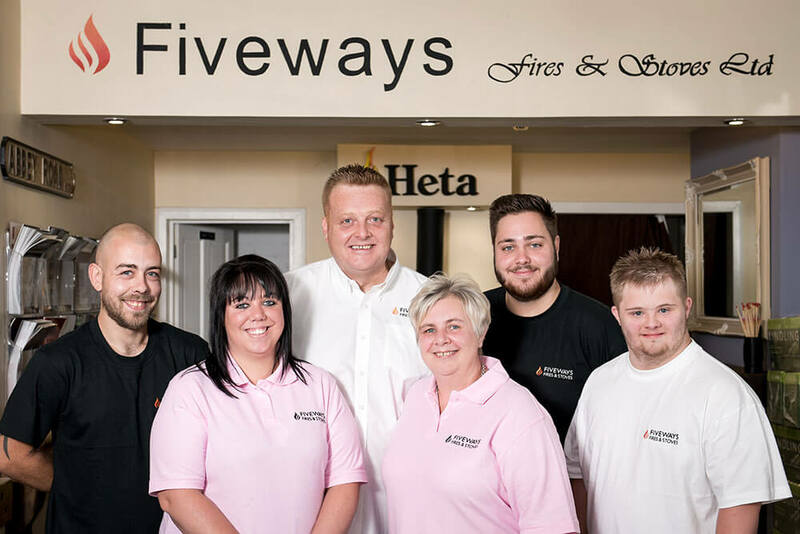 We will be with you every step of the way, from the first time you come to us to the moment you see your new finished fireplace in your home. We will price the job honestly. We will offer you the best price for the job. We don’t charge by the hour because we want to get the job done right, however long it may take. We want things to be right in our own homes so why not in yours? By being in control of the whole process, we know we can make it perfect. Our attention to detail, long experience and suppliers’ guarantees mean you have nothing to worry about other than choosing the right fireplace for you. Press PLAY to find out more about our products and services and let us help you find the right fireplace for you. 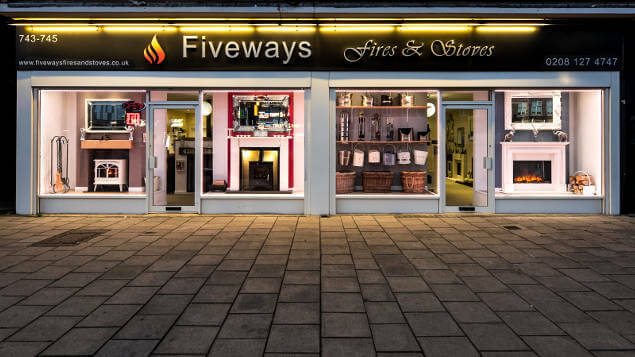 Let us start you off on your Fiveways journey. 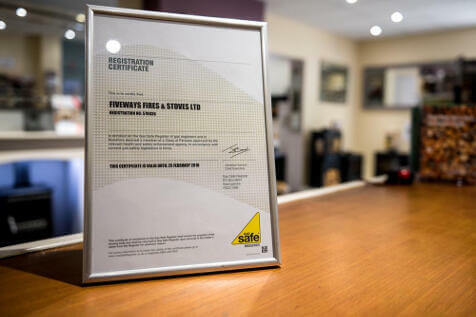 Once your new fireplace is installed, you become a lifelong customer and we are here to support you for years to come. 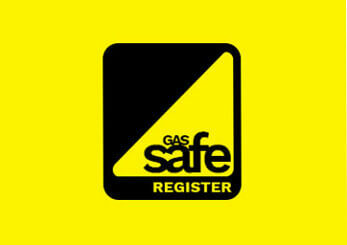 We are HETAS approved and Gas Safe registered, as well as a Which? 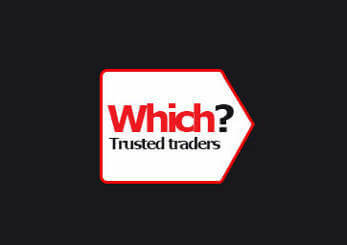 Trusted Trader so you can rest assured you will get nothing less than a high-quality product and service to match.